Tools and Techniques for BABOK Guide v3 provides hundreds of examples and best practice guidelines for Business Analysts to read and understand. Please review the website and find the techniques that you find applicable to your development project. You can create your own model using the convenient Model Wizard and the MDG Technology for BABOK. This model can be tailored and adapted to suit your individual needs, helping you to save time and get started sooner. This tutorial will show you how to create your own model using a simple template. Select a package in the Project Browser. This will start the download process and create a set of packages under the currently selected package. 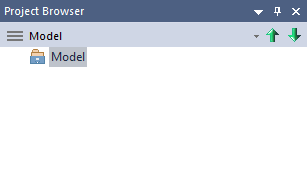 In the Project Browser you now have a skeletal model ready for use as a basic starting block for creating your own model. In the next steps you will view some key diagrams provided. 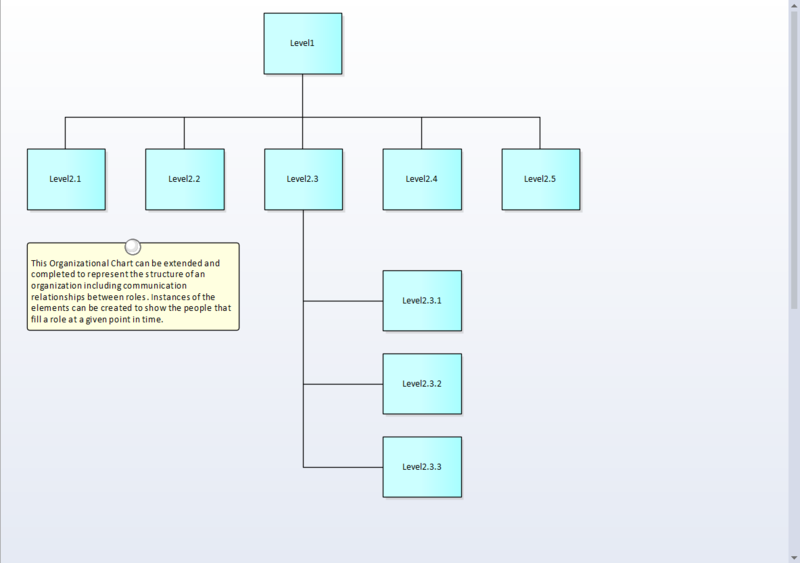 This provides a simpler starting point for creating a Organization Chart of the organization you are analyzing. 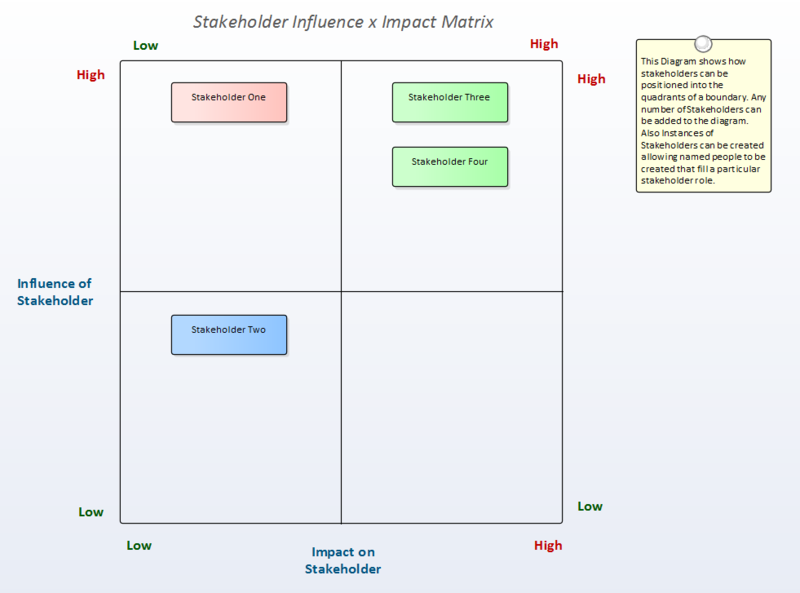 This provides grid chart defining the stakeholders of the organization you are analyzing. 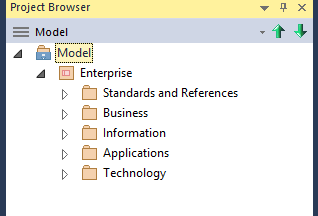 Select any element on the diagram and press Alt + Enter to access the properties. 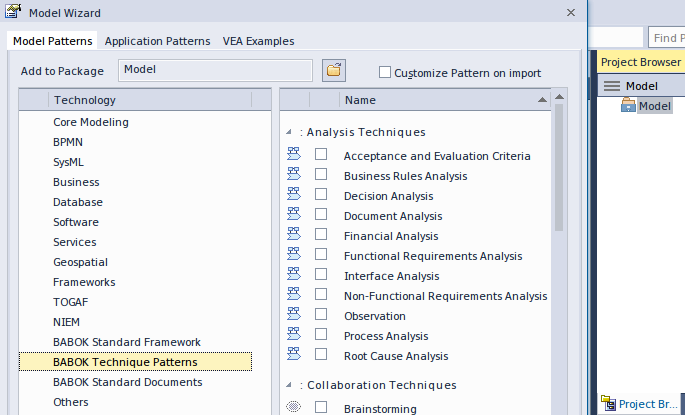 This will allow you to modify the element to reflect your own organizational structures. This basic template provides a simple starting point for creating your own Organization Chart. Refer to Tools and Techniques for step by step instructions on how to proceed. 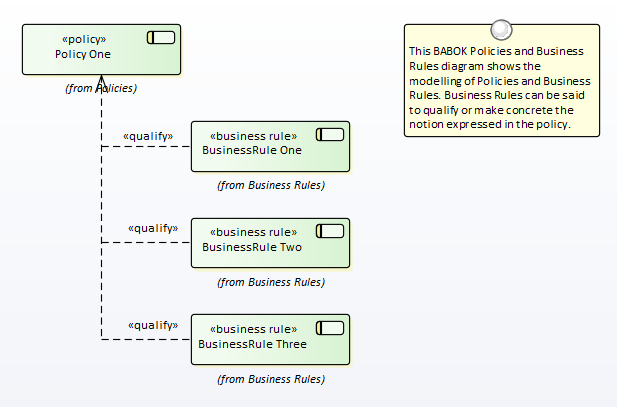 This provides a diagram laying out existing Business Rules and their relationship to Policies.